As the car today are built more and more around the driver, automotive designers and engineers are making efforts to improve the in-car control systems, to reduce driver effort. Subject at hand, is the patented touch-screen steering wheel by Finnish hand-set making company, Nokia. 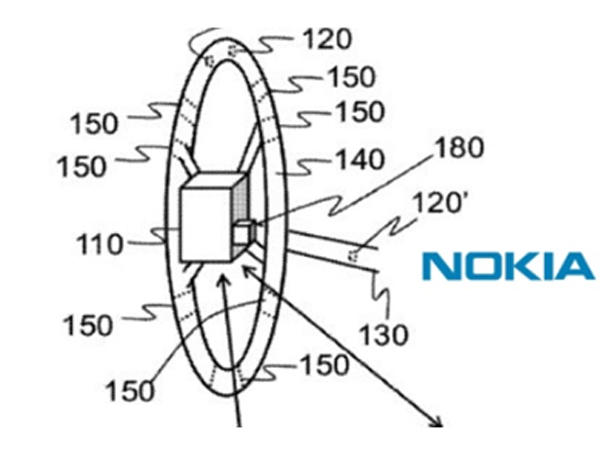 In a recent report, Nokia has patented a touch-sensitive steering wheel, that shows the door to big chunky buttons in the car. There is no description of the limits and functions of the touch system, but the patent describes a steering wheel that responds to tap of the driver. In order to achieve different outputs, driver has to tap on different surfaces and in different pattern. With recent steering wheel control systems announced by Apple and Microsoft, we can speculate a few functions that will make its way in the new Nokia touch-sensitive steering wheel. It may include entertainment control like volume adjust, track change, audio source etc. Apart from entertainment system, the touch-screen steering wheel could also be linked to climate control, sat-nav and Bluetooth hands-free. Let me remind our readers, this is not the first time Nokia is involved with the automotive industry. It also owns a company, Navteq that provides in-car sat-nav to several automotive companies. Moreover,Ford uses Bluetooth function installed by Nokia. Now, the Finnish company can exploit its industry relations to expand the new technology.